The Dallas County Jail, at Commerce Street and Riverfront Blvd. is one of the largest county jails in the U.S. 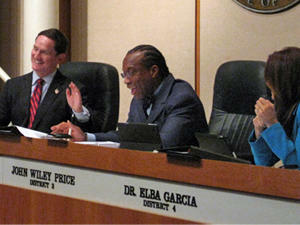 Some hidden fees on a Dallas County jail inmate's debit cards surprised county commissioners and even the sheriff. A complaint from a former jail inmate brought the fees to light. Former inmate Steve Mathis of Garland told commissioners he was being charged monthly and individual transaction fees for using the debit card the jail gave him when he was released. Inmates now get a card for the amount of cash they surrender upon arrest and that's left in their commissary accounts if it’s more than $20. 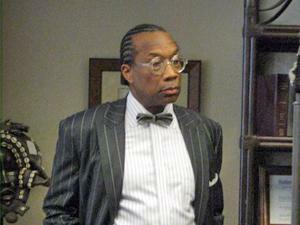 That news about the fees did not play well with Commissioner John Wiley Price. The card charges a $1.50 monthly maintenance fee. Plus, bank ATM fees apply, unless the card’s used at a network of credit unions – the closest on Commerce Street downtown. County Judge Clay Jenkins says if someone could walk across the street or a couple of blocks and cash in the card, that would be okay. “But it is bothersome that people would put together money to help a loved one that’s in jail and then somebody’s making money off them six months later on the people that are unbanked," Jenkins said. Jail officials promised to take another look, and possibly put a credit union ATM in the jail. The debit card program was instituted to cut down on cash at the jail. Dallas County is one of the first large jails to try the debit cards. 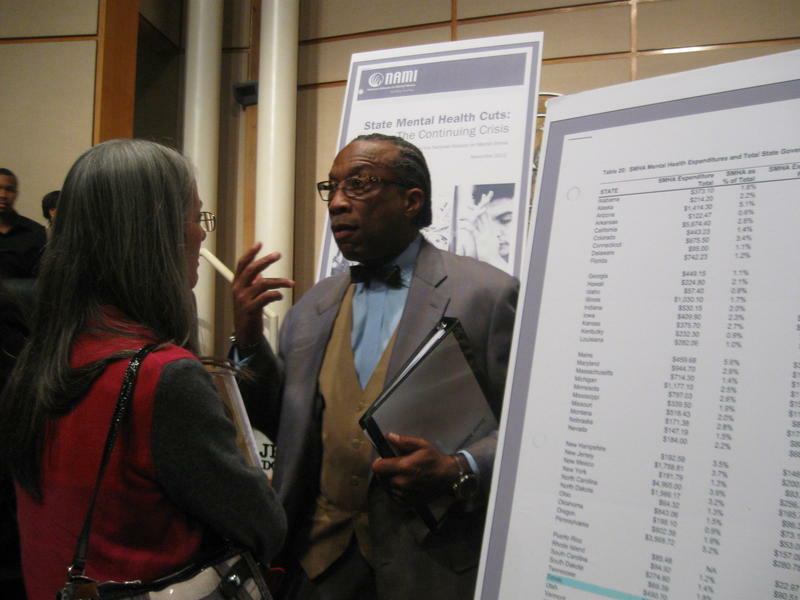 A group of Dallas County leaders is calling on state lawmakers to spend more money on mental health. The call comes after years of budget cuts and the Sandy Hook school shooting. 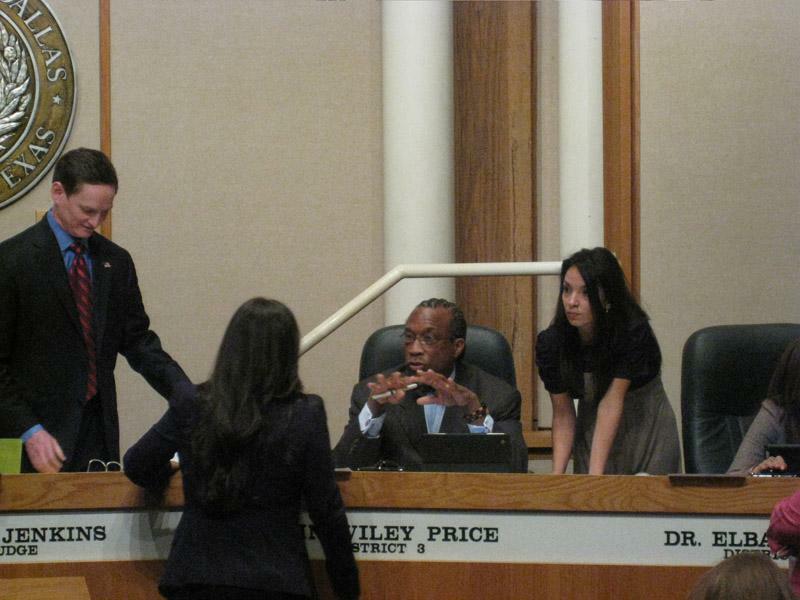 The federal government is stepping up courtroom moves to seize nearly $500,000 from Dallas County Commissioner John Wiley Price and his assistant, even though no one has been charged in the criminal bribery and money laundering investigation. The gavel-grabbing incident began as County Judge Clay Jenkins lightly tapped his gavel to interrupt a testy exchange between Commissioners Maurine Dickey and Mike Cantrell. In an unusual move, Dallas County Judge Clay Jenkins ordered a barrier erected to keep the press away from court members, including Commissioner John Wiley Price.